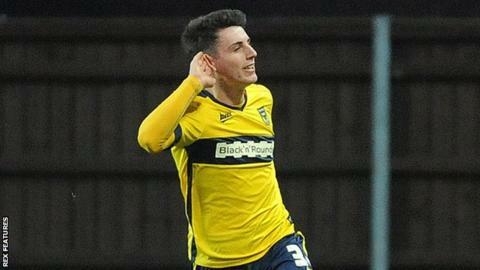 League Two side Barnet have signed Oxford United striker James Roberts on a one-month loan deal. The 19-year-old has scored five goals in 26 appearances for the U's but has not featured for Michael Appleton's side this season. Roberts had a loan spell at Chester earlier this term, scoring once in six National League outings, and has also spent time at Oxford City. He could make his debut for the Bees against Plymouth on Tuesday.